BigQuery is a serverless data warehouse for analytics that makes it possible to store and query massive amounts of data in seconds. Where on-premise SQL queries could take hours to run, BigQuery makes it possible to do this in seconds using the power of Google's infrastructure. This fully managed enterprise data warehouse supports analytics over petabyte-scale data. It delivers high-speed analysis of large datasets without requiring investments in onsite infrastructure or database administrators. BigQuery scales its use of hardware up or down to maximise performance of each query, adding and removing compute and storage resources as required. 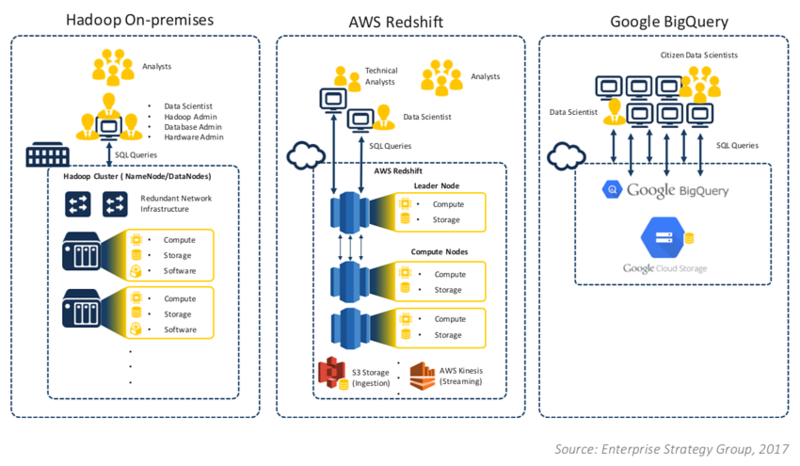 Google BigQuery, part of the Google Cloud Platform, is designed to streamline big data analysis and storage, while removing the overhead and complexity of maintaining onsite hardware and administration resources. Scale up to petabytes or down to kilobytes depending on your size, performance, and cost requirements. Ingest, query, and export PB-sized datasets with impressive speeds using the Google Cloud Platform as the underlying cloud infrastructure. Ensure always-on availability and constant uptime running on the Google Cloud Platform with geo- replication across Google data centres. Protect and control access to encrypted projects and datasets through Google’s cloud-wide identity and access management (IAM). Complete all major tasks related to data warehouse analytics through an intuitive interface without the hassle of managing the infrastructure. Predict costs with transparent flat rate and/or pay-as-you-go pricing. Discover more: BigQuery pricing. 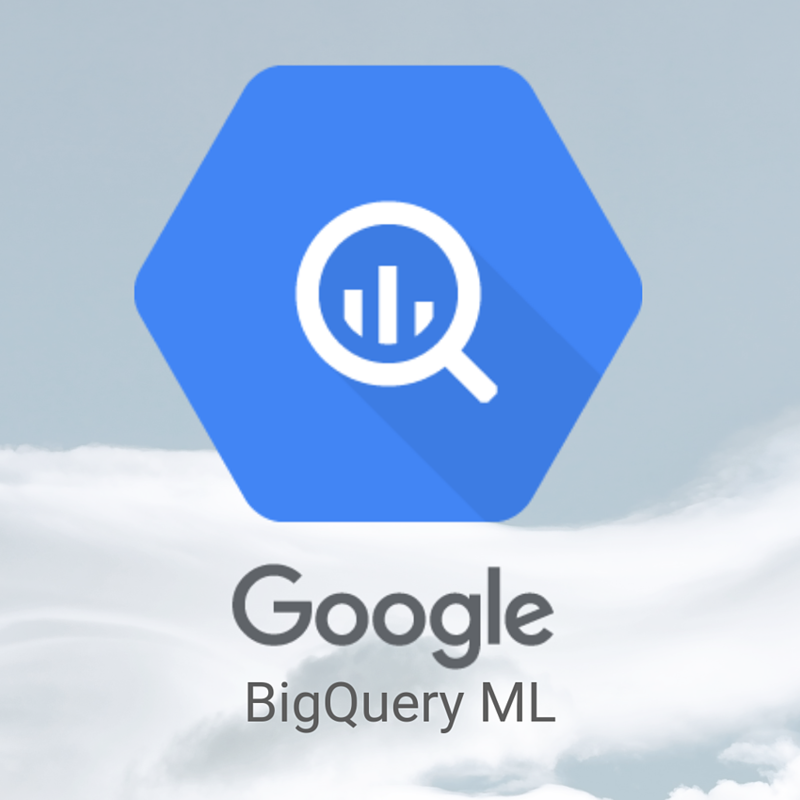 BigQuery ML allows non-data scientists to build and deploy their machine learning models using SQL language. No need for programming in Python or Java, it removes all the complex and hard to understand mathematical processes of machine learning and uses a simple SQL syntax to create a model. Learn how to manage the entire lifecycle of your data on Google Cloud Platform and get hands-on experience. How does Google BigQuery compare to other data warehouse solutions? The complexity of sizing, managing, and maintaining the physical infrastructure is handled behind the scenes by Google, so the burden is removed from the end-user. Copyright © 2018 Crystalloids, Inc. All Rights Reserved.